Hello everyone! Today, I have a card to share with you using one of the New Release Stamp Sets from JustRite Papercraft. 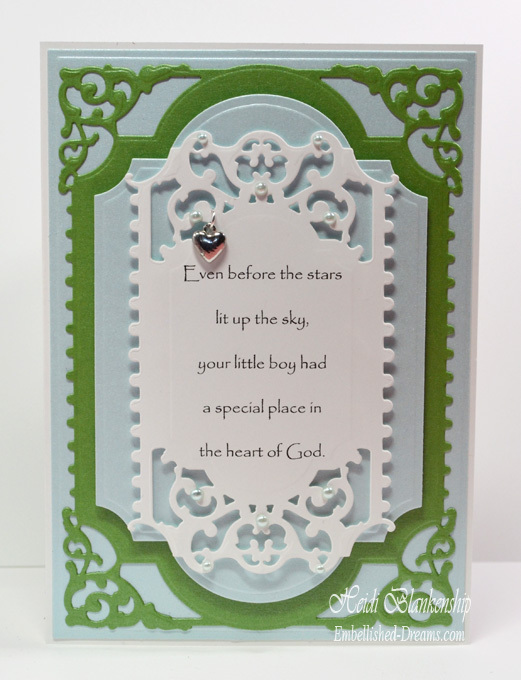 Here is the card that I designed using CR-04620Let Your Soul Sing stamp set. 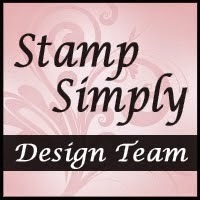 I think this is such a pretty stamp set! 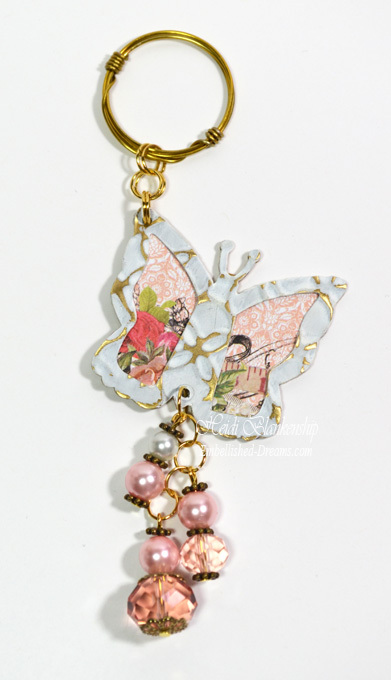 You can mix and match the flower stamps with the birds and butterfly to create your own design. 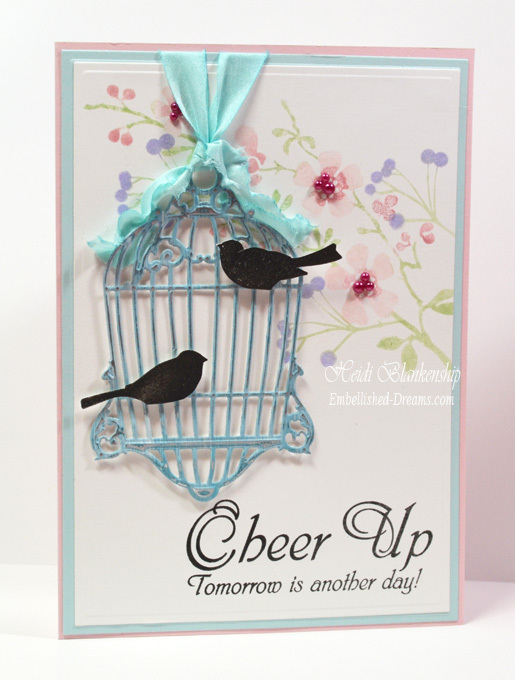 Anther thing I love is that the birds are a prefect size to match with the S3-203 Bird Cage Two Die D-lites from Spellbinder Paper Arts®. 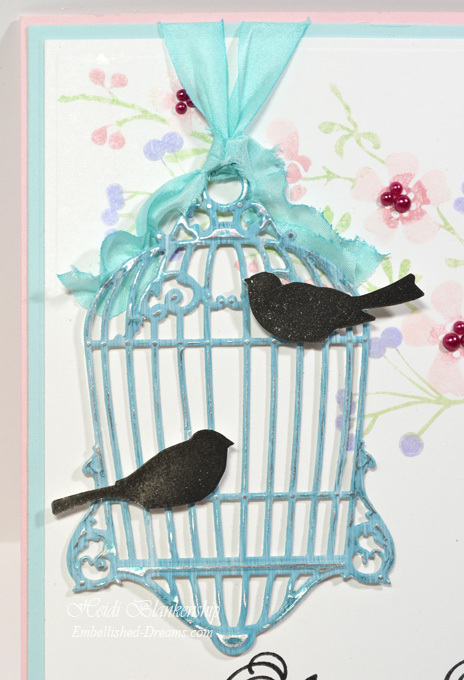 Here is a close up of the bird cage with the birds. I stamped the birds using Midnight Black VersaMagic ink and fussy cut the birds. For the cage I used Premium Craft Foil and painted over the top of it with gesso. Then I used S3-203 Bird Cage Two to die cut the shape. Please be sure to visit all of the JustRite Papercraft Designers in the link list below to see what they have created to share with you. Hello everyone! Today's post is going to be a quick one--it's a busy day around our house lol! 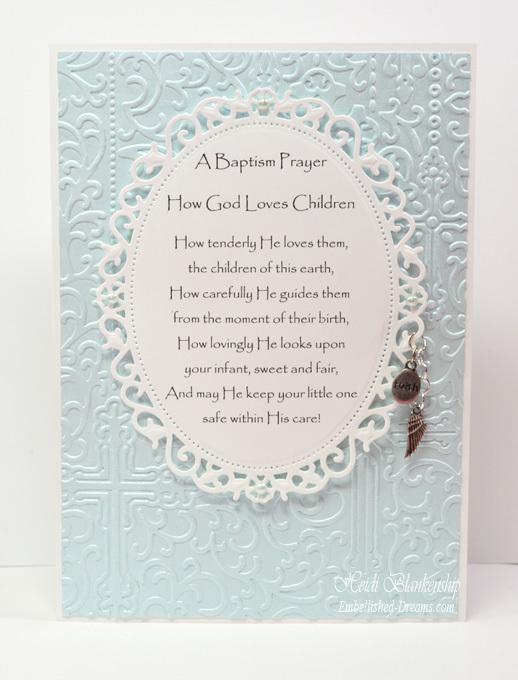 A couple days ago I posted one of the baptism cards that I made for my cousin Dani and her husband Shawn who recently had a their son baptized and today I am posting the second card. I found the sentiment online, printed it out and then die cut it. 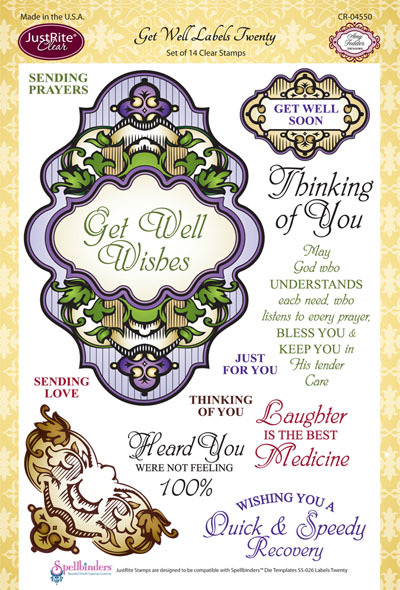 All of the die templates are from Spellbinder Paper Arts® and I have them listed and linked below. All of the paper is from DiscountCardstock.com. 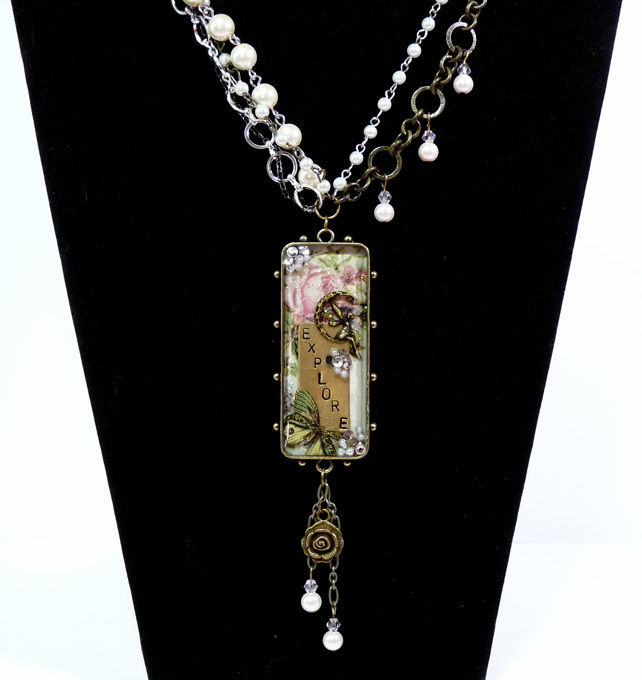 I used 3D Foam Squares in between the layers to add some dimension and then I added some white pearls and a heart charm. Hello blogging friends! I hope everyone had a wonderful holiday weekend! We didn't do much this past weekend since almost everyone in the house hasn't been feeling good--from really bad colds to allergies. Plus it rained the whole weekend here in MN--so we just hung out around the house. Today, I have a key ring to share with you that I made using some of the blanks from the Media Mixáge Collection from Spellbinders Paper Arts®. I used two of the MB6-008 Susan Lenart Kazmer for Spellbinders® Media Mixáge Butterflies One Blank--one solid and one with the cutouts. I embossed the blank with the cutouts using ES-004 Whimsy M-Bossabilities™. Then I brushed on a few coats of gesso and lightly sanded to make the embossing pop. 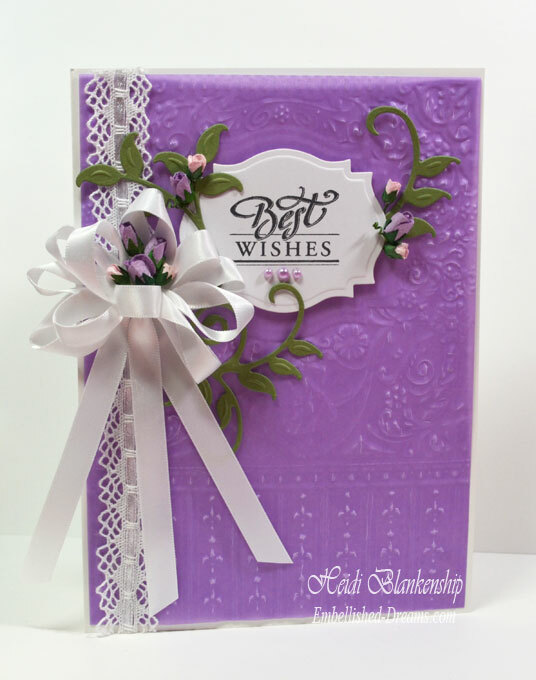 For the solid blank I used the Media Mixáge MD2-008 Butterflies One Die and Prima Lyric Collection 6 x 6 Paper Pad to die cut the butterfly shape. I layered all of the pieces and used E6000 to adhere everything. I used a Action Screw Hole Punch tool to make the holes in the blanks. The Action Screw Hole Punch tool can be found in the jewelry/bead section of most big box craft stores. 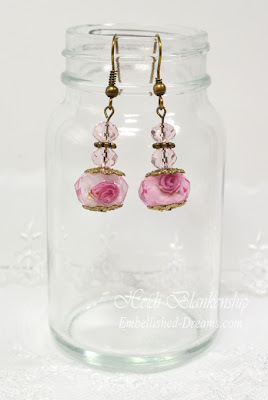 Then I added jump rings and made little beady dangles and attached them to the bottom. At the time when I made this I didn't happen to have a gold tone key ring so I just made a ring with some gold wire for the photo. 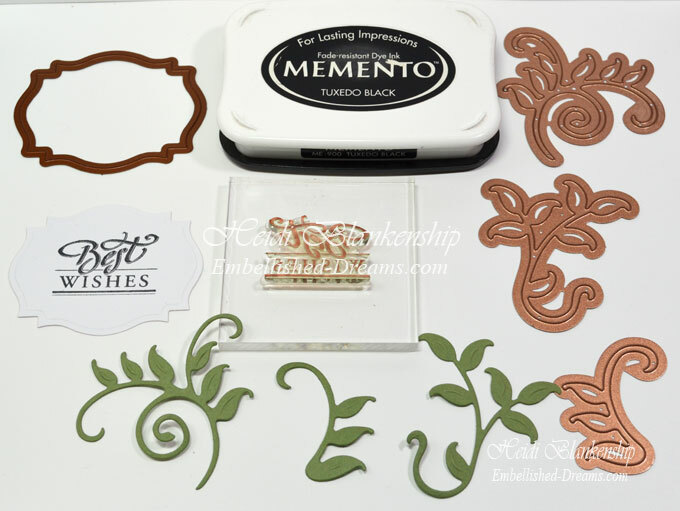 If you are new to mixed media the blanks are a great product to start out with--you can emboss them, paint, ink, layer and shape them. You can also make jewelry out of them and incorporate them into your paper crafting too! Hello everyone and Happy Sunday! 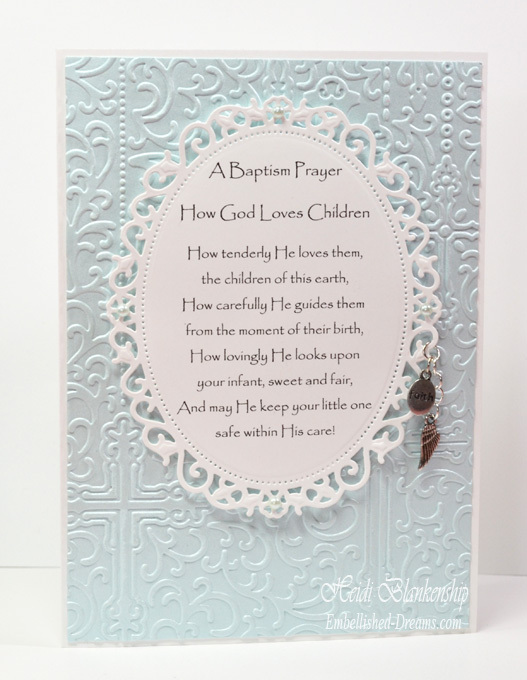 A couple of weeks ago we had a baptism in the family and I made a couple of cards. 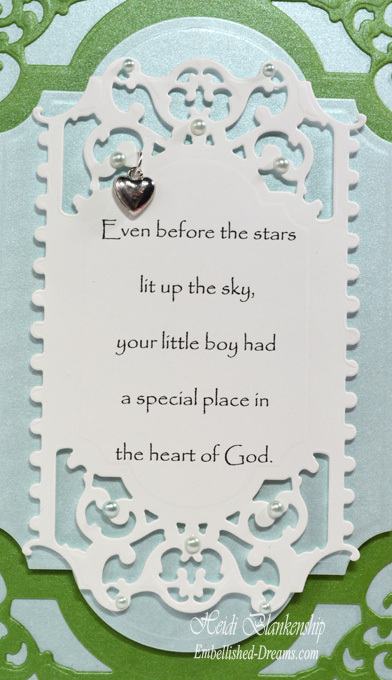 The card I am sharing today is one I made for my mom and dad to give. 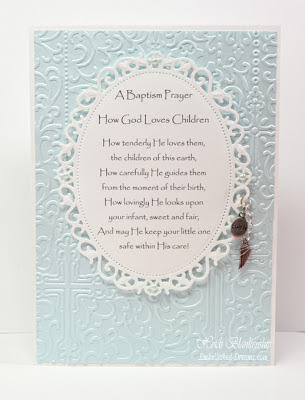 I will be sharing the card that we gave them in a couple of days. My cousin Dani and her husband Shawn had a sweet baby boy--baby Ross and he is so darn cute! They are so lucky because I think he is the happiest baby ever--he didn't fuss--not one time the whole day! 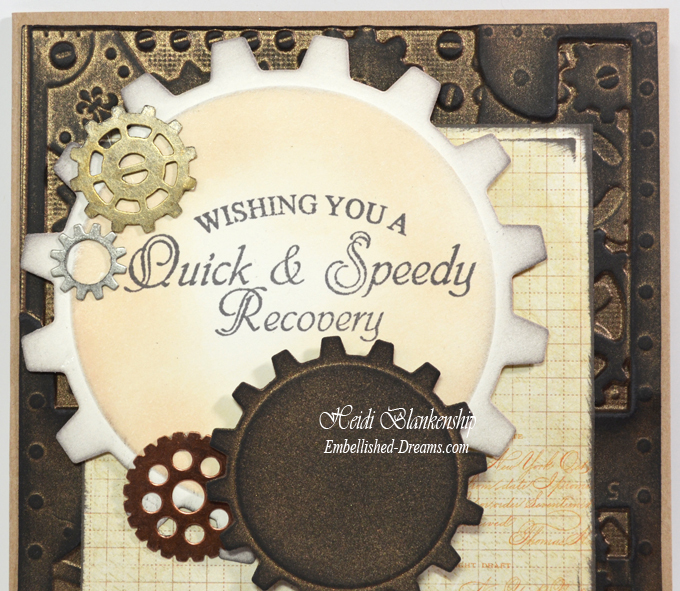 For the base of the card I used Pearl Metallic paper and the card is a 5 x 7 size. 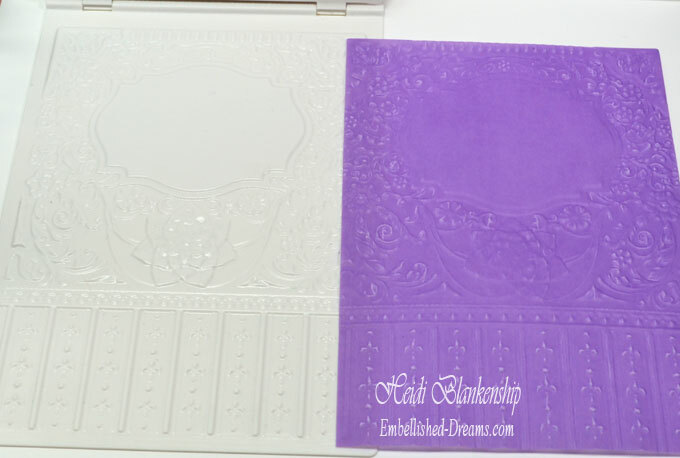 Then for the embossed mat I used S6-001 5 x 7 Matting Basics A die template and EL-028 Reverence M-Bossabilities™ Folder both from Spellbinders Paper Arts®. Just a little tip for embossing heavier weight cardstock--fill up a little spray bottle and add a couple of drops of Dawn dish soap. 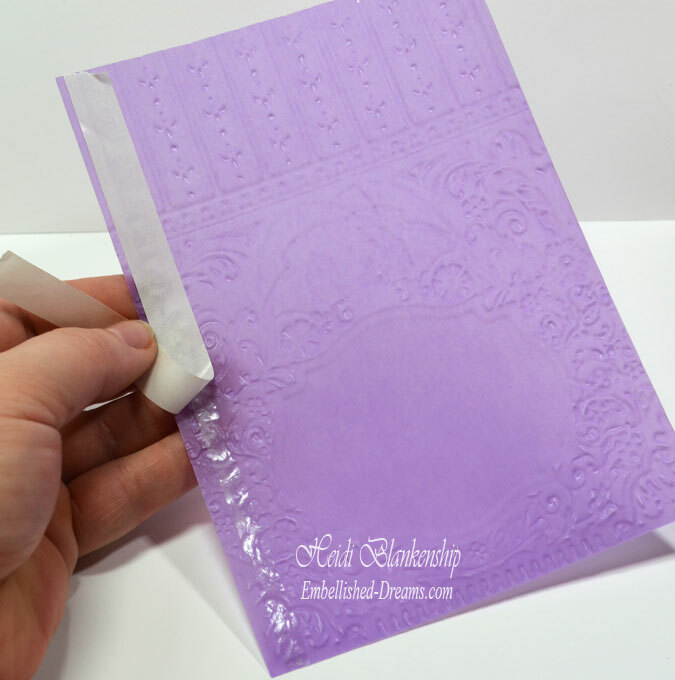 Then lightly mist the front and back of the cardstock. 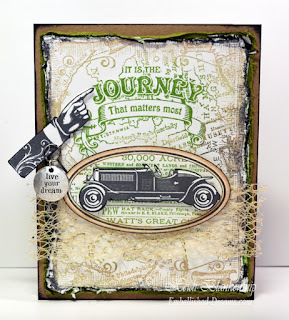 Doing this with help to break down the fibers in the paper and result in a nice crisp emboss. I typed up the sentiment and printed it out. Then I used S4-356 Floral Ovals to cut/emboss the oval shape. 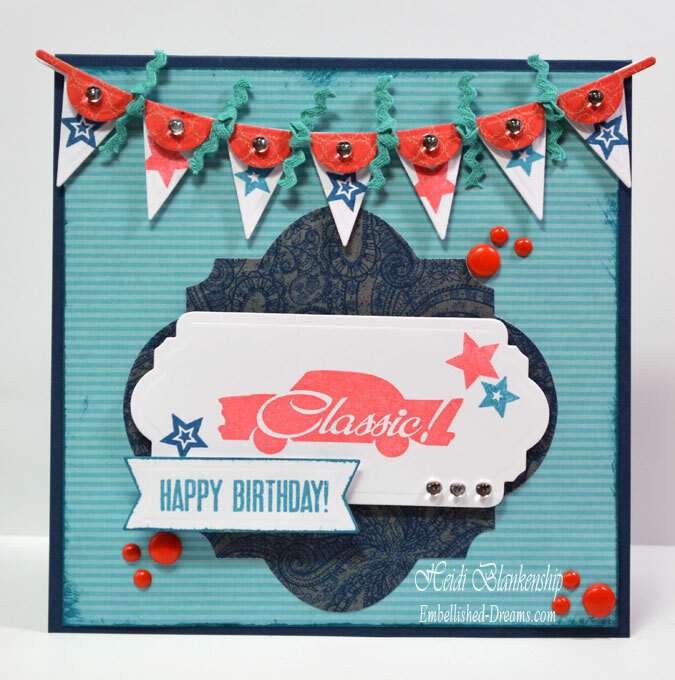 I added 3D Foam Squares from Scrapbook Adhesives by 3L® to the back of the oval die cut to add some dimension. 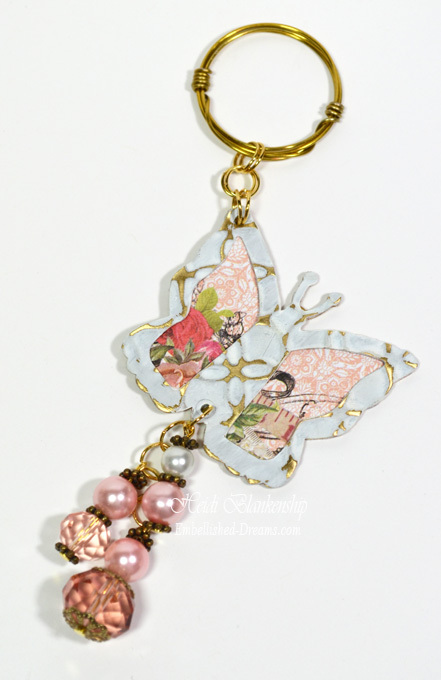 Then I added a few jump rings and a couple of charms. Here is a close up of the charms. I hope you are having a wonderful holiday weekend! It's a rainy day here in MN. I think everyone is praying for some sunshine but the weather report doesn't sound too hopeful. I think we are supposed to have rain everyday this week. 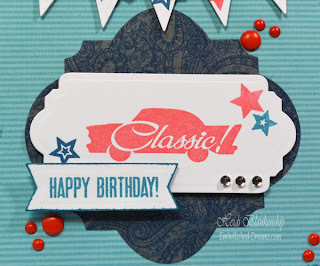 I want to say Thank You all so much for you wonderful comments about the New Design on my blog--I really appreciate it!! 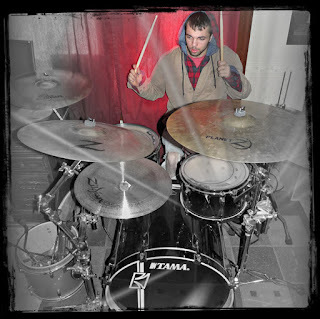 On a more personal note I want to say a Special and Happy Birthday to my oldest son Dusty!! 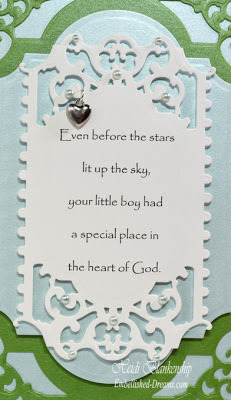 Today, I have a card to share with you using the beautiful Majesty Vellum from DiscountCardstock.com. I used the E3D-006 Framed Labels Eighteen 3D Embossing Folder from Spellbinders Paper Arts® to emboss the Majesty Vellum 27#. 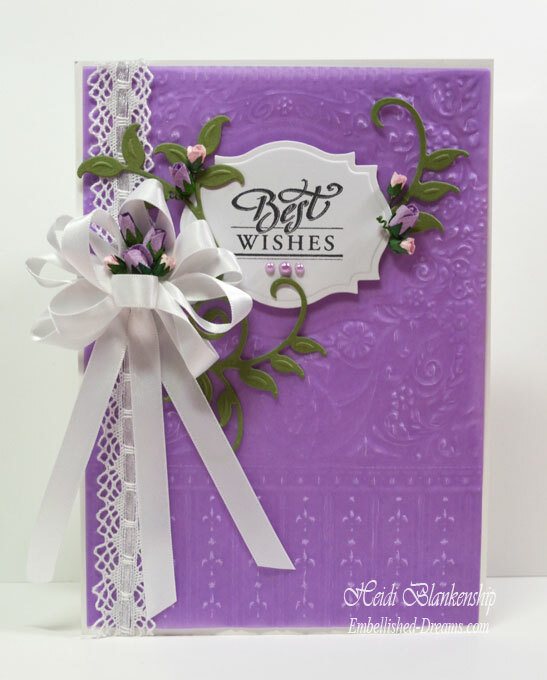 Next I used Crafty Power Tape from Scrapbook Adhesives by 3L® along the left side of the vellum and then attached it to the card front. 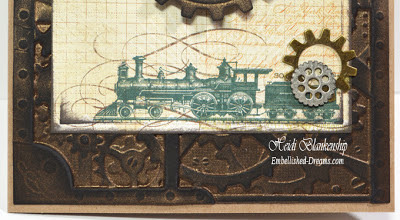 Then I stamped the sentiment from CR-03640 Spring Words stamp set from JustRite Papercraft on to Simply Smooth White paper from DiscountCardstock.com using Memento Tuxedo Black ink from Imagine Crafts/Tsukineo. 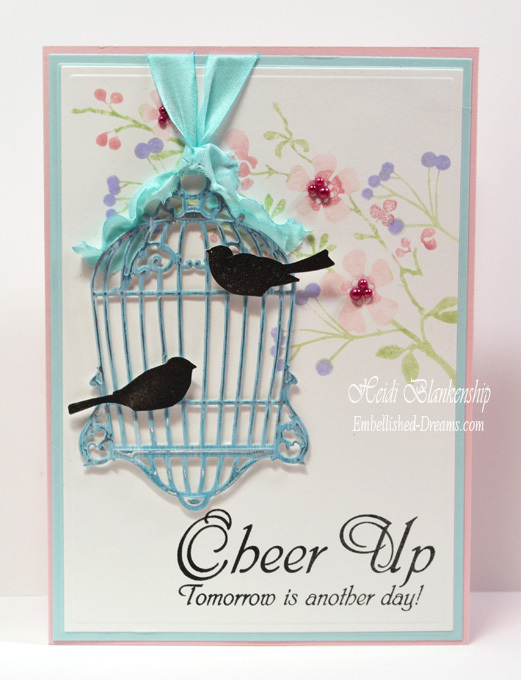 I used S4-310 Labels Eighteen die template to cut/emboss the sentiment and create the label. To create the leaves I used Herbal Garden paper and S5-129 Foliage Two die templates. 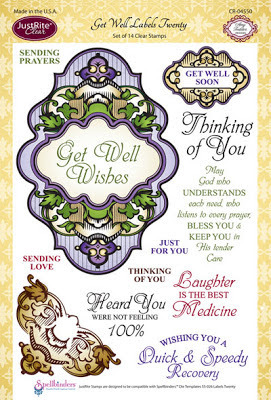 Here is a close up of the card. Once I had the label on the card front then I added White Satin with Grosgrain Edge Ribbon and Noelle White Crochet Lace Trim from Really Reasonable Ribbon. I also added some pink and lavender roses and Kaisercraft Lavender Pearls to finish off the card. I hope everyone has a Happy and Safe Holiday weekend!! 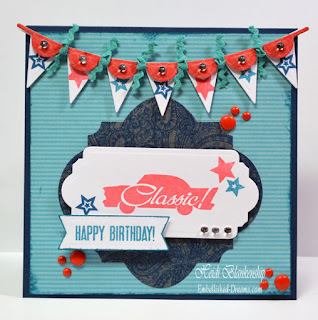 Hello everyone, my name is Stacey Caron, and I have known Heidi since 2007, when she was chosen for the 2008 design team for my company, Spellbinders Paper Arts! 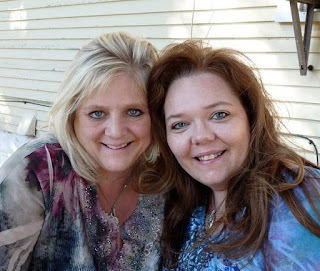 It is an honor to be a guest blogger for Heidi. I was so touched when this idea came up and Heidi enthusiastically accepted. 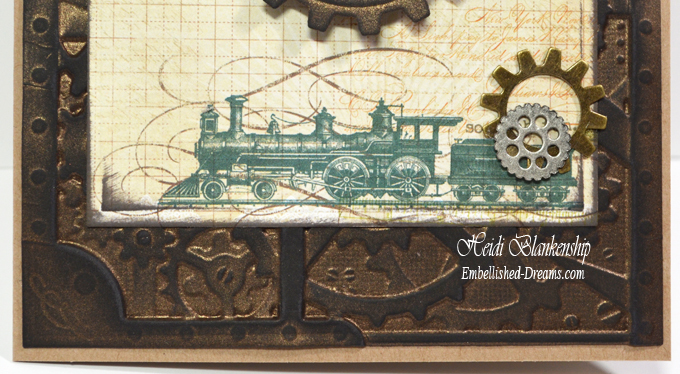 As president of Spellbinders, you can probably imagine how many designers, I am exposed to. When looking for a creative person to join our design team, I look at the beauty of the projects they create, but just as important is the passion they have about Spellbinders and who they are as a person. I can hardly put into words, how much this amazing woman means to me. Heidi has a beautiful spirit and a kind heart. She is a hard worker, talented beyond measure and loyal to her friends. Most importantly she is a great mother to her boys and loving wife. I realized what a hilarious sense of humor she had when she presented the entire 2009 DT members with something special from the great state of Minnesota…Can you guess what is? I will give you a clue…mystery meat…as in SPAM… Lol, that moment is sired in my memory forever! It has been a true honor and pleasure to work with Heidi, and I am constantly inspired by her. On a side note, what would I ever do without my CHA floral goddess!! Yes, Heidi dresses our trade show booth every single time with her beautiful floral arrangements! 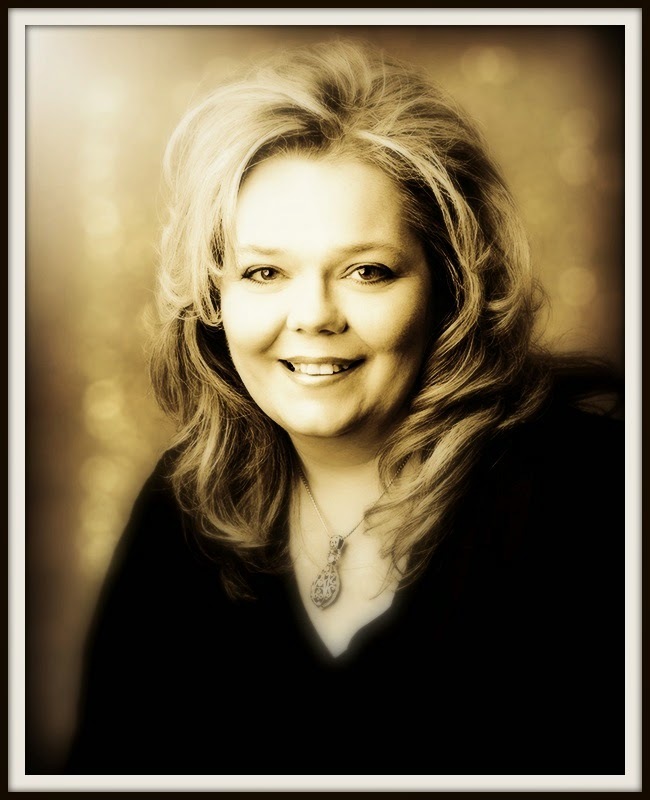 Heidi, thank you from the bottom of my heart, here are a few art pieces of Heidi’s that truly inspire me! I LOVE jewelry! Heidi’s whimsical style has always been able to capture me in a unique way. When I look at Heidi’s Explore Necklace there is a fairy tale laying right there in front of me. This card is another example of how I am inspired by Heidi; she looks outside the obvious with our product and thinks about unique and different ways to inspire. 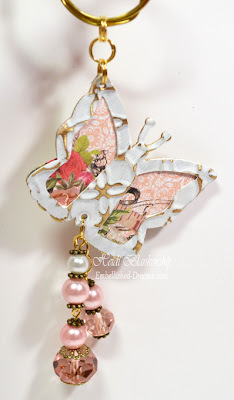 Heidi was one of our first designers to take the Butterfly Magic expandable pattern and fussy cut the butterfly to bring another dimension to the use of that template. 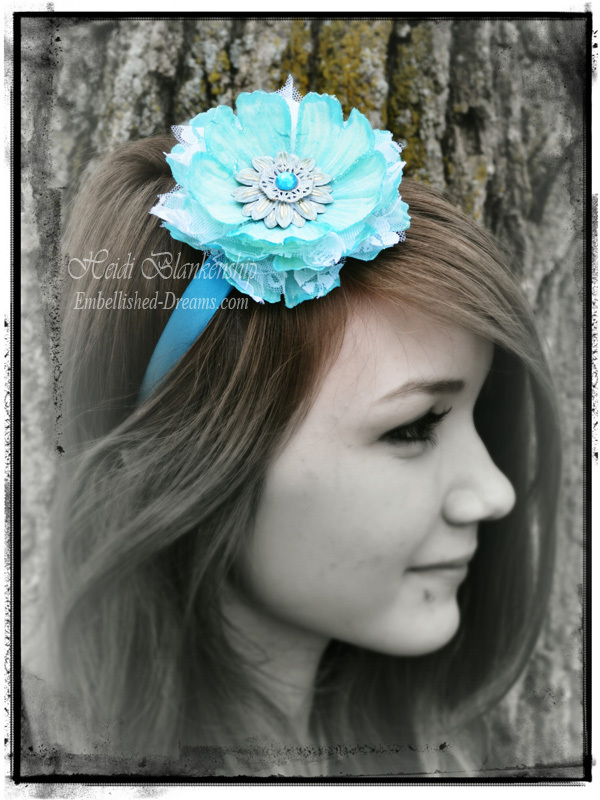 Heidi's ability to repurpose just about anything is what makes her such an amazing designer. She has this way of looking at whatever die I send her instantly seeing what projects she can create with it. Thank you so much for taking the time to read this post, and I hope that you will visit my blog every Friday, to see what has inspired me in the last week. Hello blogging friends! Today, I have some earrings and a gift box to share with you. 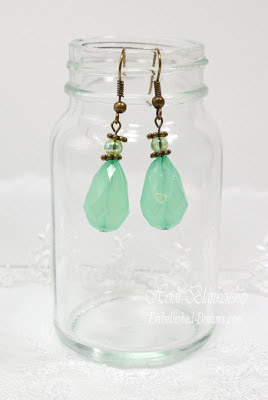 This past Friday was my mom's birthday and as part of her birthday gift I made her some new earrings and altered a little gift box to put the earrings in. Here is the first pair of earrings. 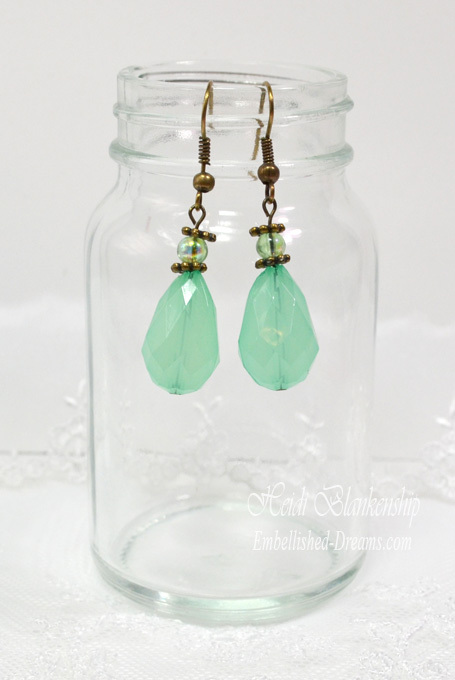 I used tear drop shaped jade colored beads, bronze flower spacers and small round light green beads. 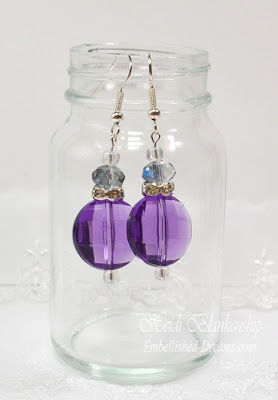 For the second pair I used small clear beads, larger round purple beads, rhinestone spacers and light blight crystals beads. 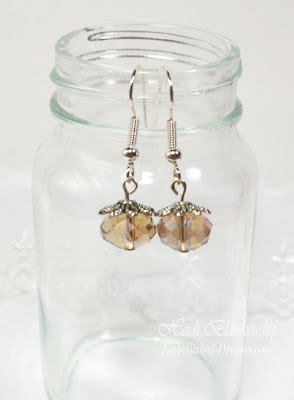 For the third pair I used champagne crystals and silver flower bead caps. I think the forth pair is my favorite! I used filigree bead caps, rose crystal beads, flower spacers and light pink crystal beads. 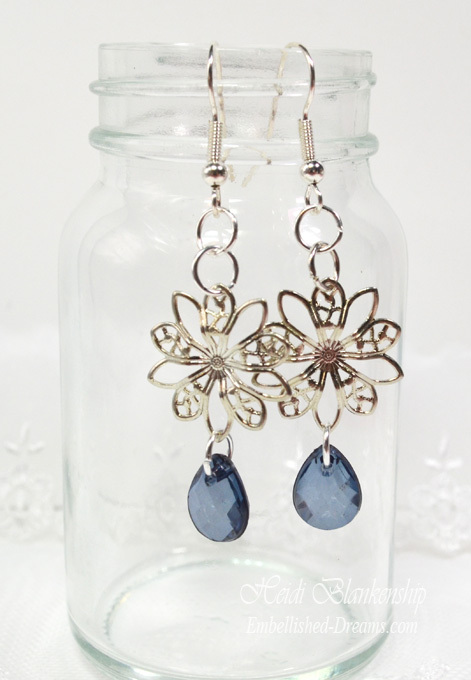 For the fifth and final pair I used silver metal filigree flowers from ButterBeeScraps and dark blue gem drops. I can't remember for sure but I think I picked up this box at the dollar store. It had a little white bow on the top that I carefully removed. 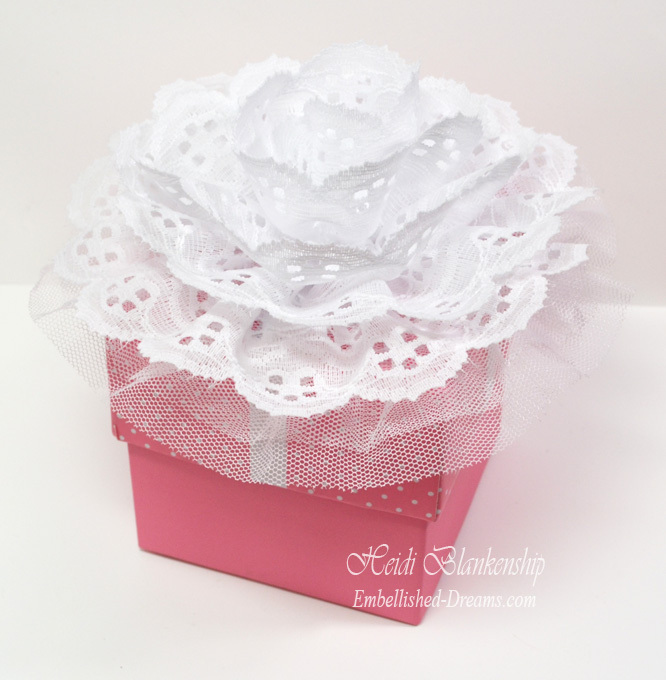 Then I made a rosette directly on top of the box. I used some tulle trim (from Hobby Lobby) and some eyelet trim (from Joann's). I used hot glue to adhere the ribbon and I just kept going around in a circle until I reached the center. Then I added a little more hot glue, bunched up the tail end of the lace, gave it a little twist and pushed it down in the center of the rosette. Thank you so much for stopping by today! I hope you are having a wonderful weekend and don't forget to stop back tomorrow to see who the Special Guest Blogger is!! Hello everyone! 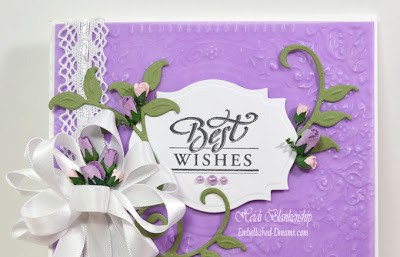 Today, is my day to post on the Positively Me Blog for Julianna Hudgins Design Team and I have a pretty girly-girl card to share with you using the LF-013 Jewel Goddess from Julianna Hudgins Positively Me Collection from Spellbinders Creative Arts®. Hello blogging friends! Today, is my day to post over on the Faber-Castell Design • Memory • Craft Blog. I have a beautiful altered flower headband with a full tutorial to share with you. Hello blogging friends! 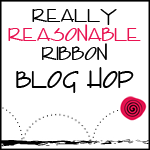 Today, is the Really Reasonable Ribbon Blog Hop for the month of May. The RRR Design Team Members and Special Events Design Team Members will be showcasing the Monthly Ribbon Club. This month there is a fabulous assortment of Red, White and Blue ribbons included in the May Ribbon Club. This ribbon assortment is prefect for the up coming 4th of July holiday! 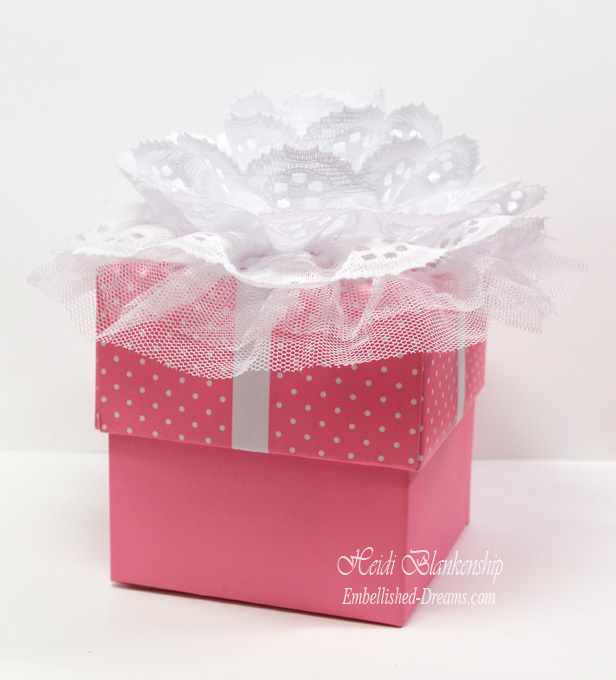 Click HERE for more details on how you can sign up for the Monthly Ribbon Club. Before I get started with my project I just wanted to say I hope everyone had a very Happy Mother's Day!! We had a really nice day with family. It was wonderful to see everyone and the weather was so nice. Today, I have a quick and easy DIY project to share with you. 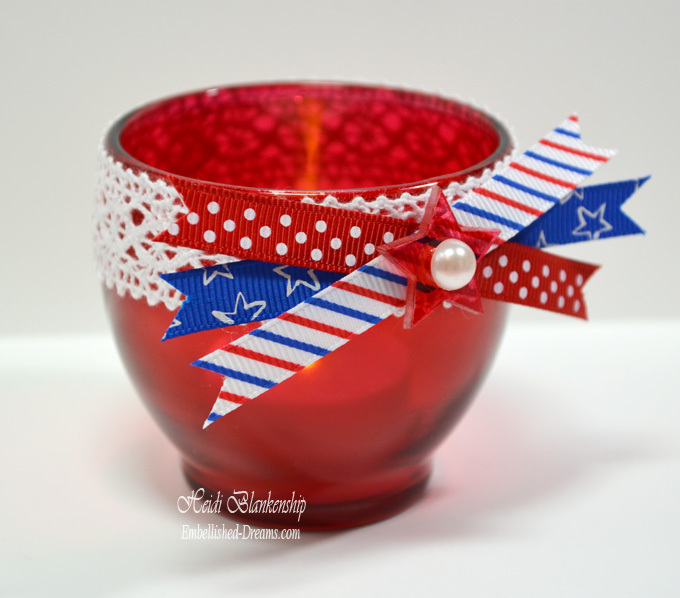 I altered this little tea light candle holder using some of the ribbons from the May Ribbon Club. Every year we have a big BBQ with family and friends for the 4th of July Parade and it's always fun to have some decorations for the tables. 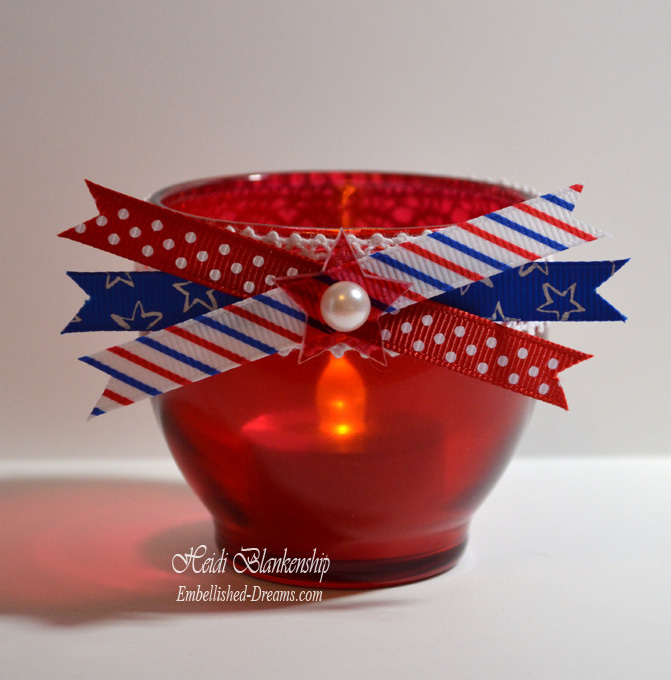 I am going to be making a few more of these little tea light candle holders--they will be perfect! 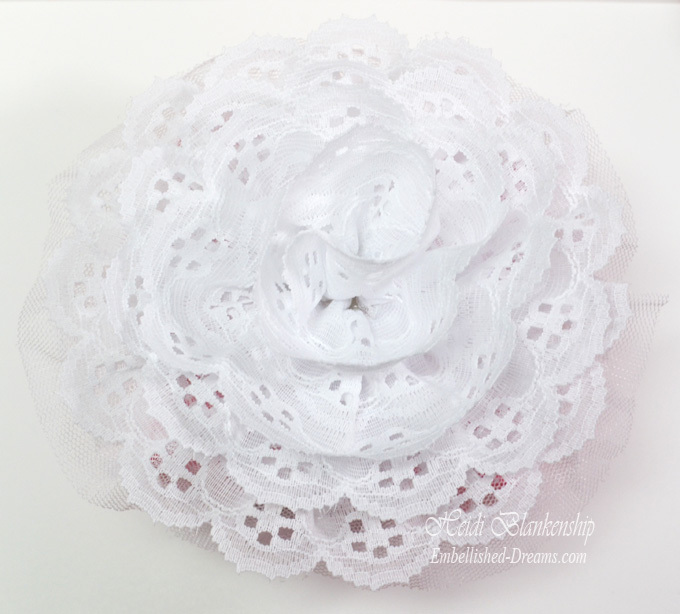 I added the white crochet lace trim around the top and then I added a few small pieces of ribbon to make a little cluster. 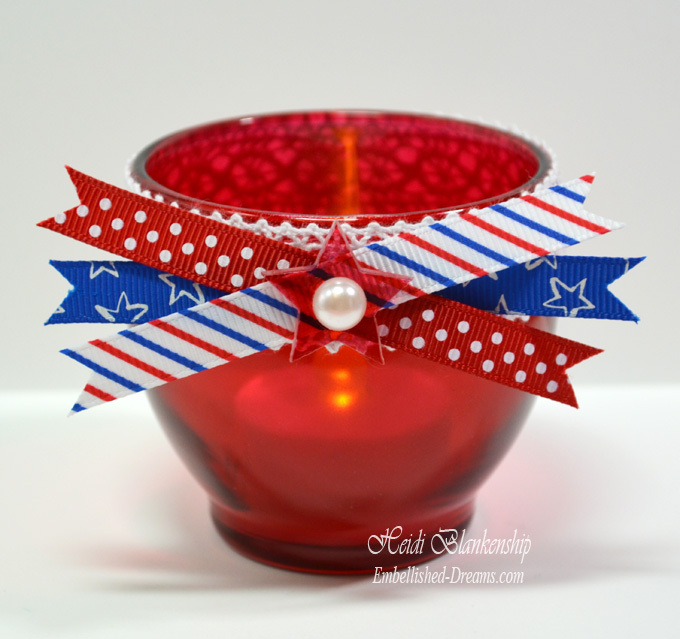 I fussy cut the ends of the ribbon, added a red acrylic star and a white pearl to the center. I used hot glue to adhere all of the ribbons, star and pearl. Then I added a battery tea light candle. These candles are perfect to use, especially if you have little ones around. I hope you enjoyed this quick and easy DIY project! Hello everyone! I hope you are all having a wonderful weekend. Today, I have one of my jewelry pieces to share with you. 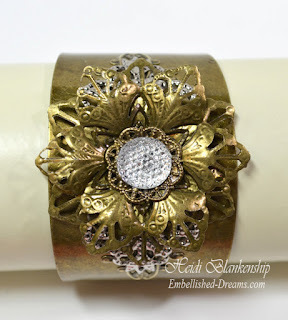 I have been making jewelry for several years but I am just now getting in to the metals-using filigree pieces and trying some new things. I just finished my first bracelet so I thought I would share it with you. This is a cuff bracelet and I added all of the beautiful metal filigree pieces. 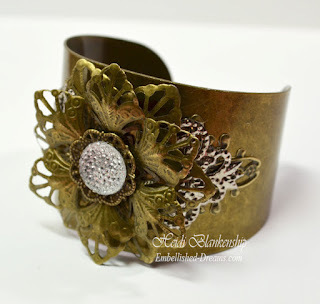 I like the look of different metals so I used bronze and silver. I used a larger bronze oblong filigree piece on the bottom and then a little bit smaller silver oblong filigree piece on top of that. Then I added two of the larger flowers, a smaller flower and a large bling piece for the center. 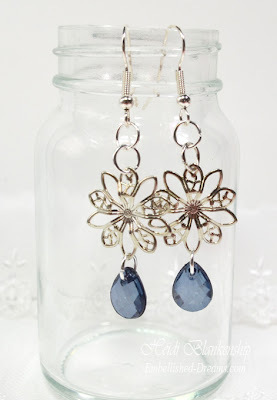 All of the metal filigree pieces are from Monique at ButterBeeScraps except for the small flower. 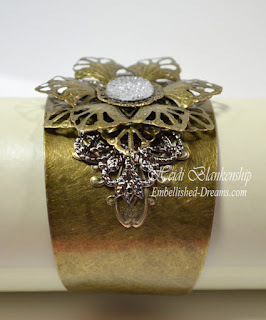 If you love metal filigree you have to check out ButterBeeScraps! Monique has so many beautiful pieces in her shop including copper, silver, bronze and gunmetal. 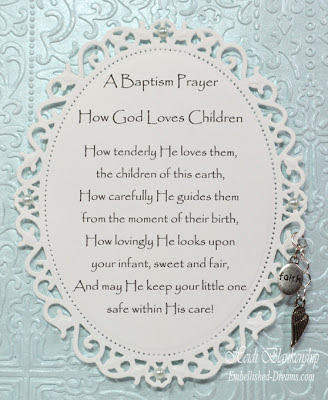 I hope everyone has a fantastic weekend and Happy Mother's Day to all of the Moms!!! Hello blogging friends! 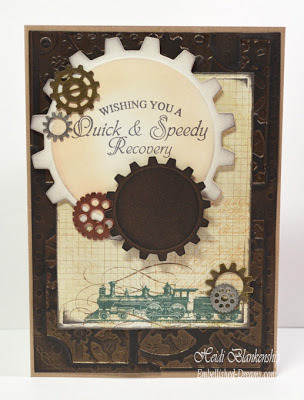 I am back today with another New Release from JustRite Papercraft. 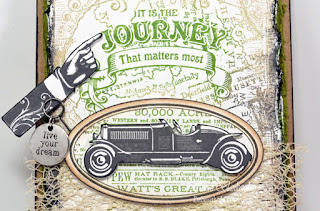 Here is the card that I designed using CL-04520 The Journey Background Stamp, CL-04515 Explore Vintage Labels Four stamp sets and JB-04300 Vintage Labels Four Dies JustRite Papercraft Custom Dies. I started by creating the background. 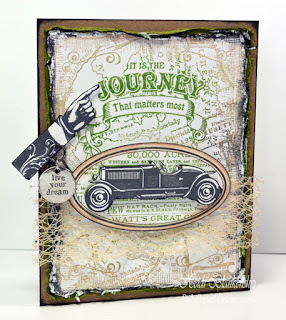 I covered the entire stamp with Pistachio ink and then I went around the edges (about 1'') with the Toffee Crunch ink. 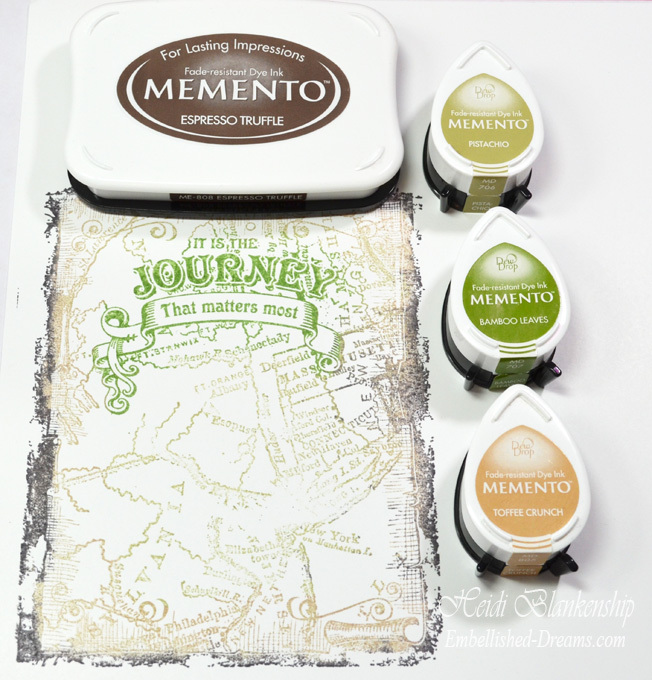 I used the Bamboo Leaves ink on the sentiment and inked the outer edges with Espresso Truffle ink. 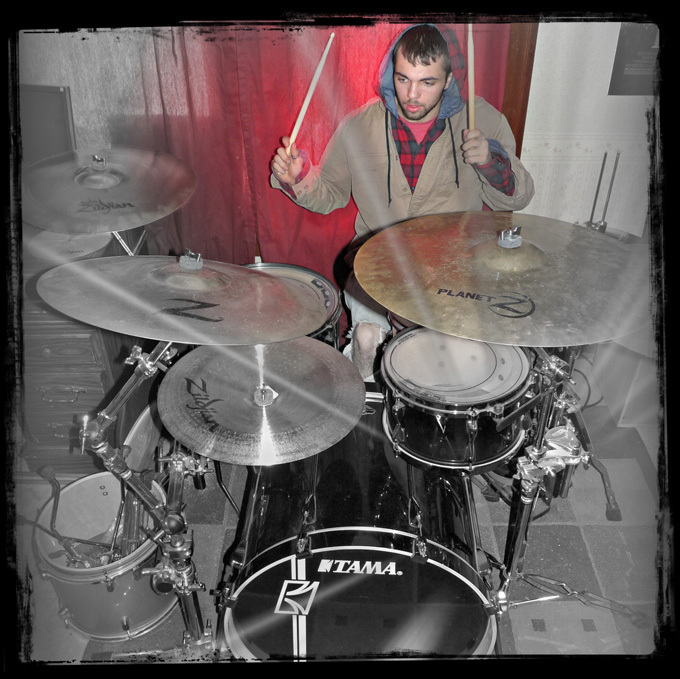 Then I cut the background image down to size and used the Distrezz-it-All tool from Zutter to distress the edges. I stamped the image of the car twice. For the first image I used Bamboo Leaves and Espresso Truffle inks and did the Rock-n-Roll technique with the ink. The second image was stamped with Espresso Truffle. 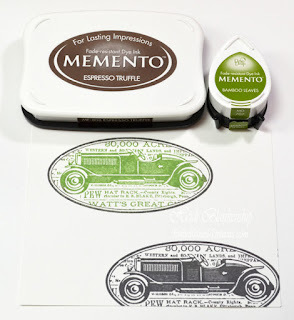 Then using the image with the Espresso Truffle ink I fussy cut the image of the car. 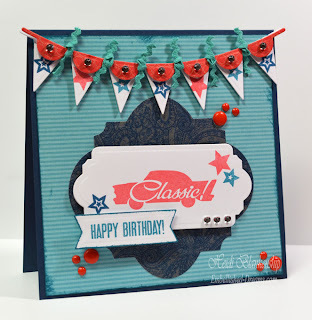 I used 3D Foam Squares from Scrapbook Adhesives by 3L® on the back of the car image to pop it up a little. Here is a close up of the image with the car. 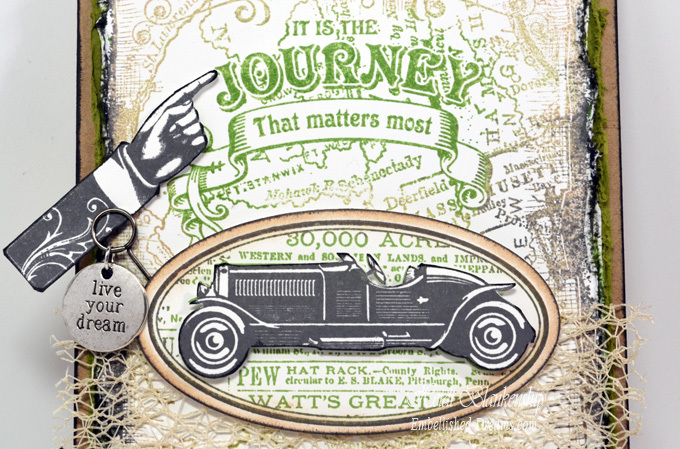 I used JB-04300 Vintage Labels Four Dies JustRite Papercraft Custom Dies to cut/emboss the oval shape and then inked the outer edges with Toffee Crunch ink. For the hand I inked the image with Espresso Truffle and then fussy cut it. 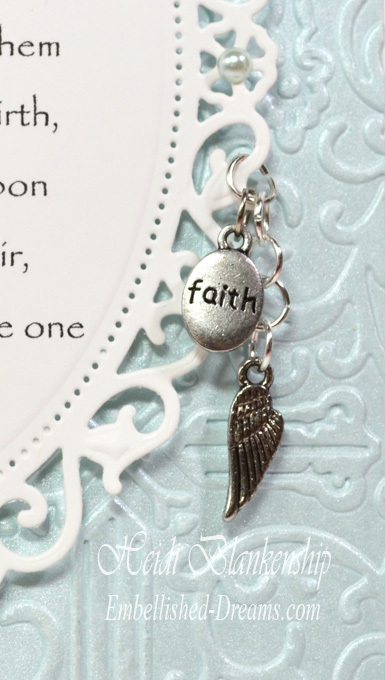 I attached the hand to the top of a memo pin, pointed it at the sentiment and added a silver charm. I also added some 1.5'' Champagne Netting from Really Reasonable Ribbon under the image of the car.